Our state of the art family and cosmetic dental facility is conveniently located in the West Chester Borough. Along with standard dental procedures, Grabill Family Dentistry is also an Invisalign, Botox, Juvederm and Zoom! Teeth Whitening provider. Our dental team combines many years of experience with a genuine care to create for you the most comfortable and professional visit possible. We can provide you with an array of services including: ZOOM! whitening, crowns and bridges, porcelain veneers, full and partial dentures, endodontics, and fillings. In addition, our office features the latest in digital x ray technology. We strive to provide you the best dental care possible. We look forward to creating a lasting relationship with you and your family and to a lifetime of healthy, happy smiles! 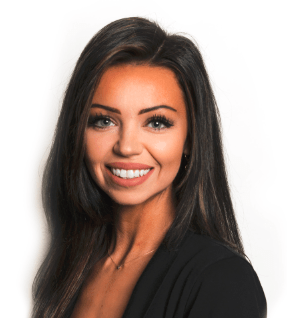 Whitney has been practicing as a Registered Dental Hygienist since 1995 after graduating with a Bachelor of Sciences from West Chester University and an Associate of Dental Sciences from Harcum College. She has been with the Grabill Family Dentistry family since 2015 and has experience in both General Dentistry and Periodontics. You may find Whitney golfing with her husband and friends or playing with her rescue dogs Polly and Bocephus. Amanda joined Grabill Family Dentistry in 2014 as the Receptionist before becoming x-ray certified and becoming Dr. Grabill’s Dental Assistant and Marketing Director. She brings experience in Business Management, Marketing and Customer Service. During her free time, you can find Amanda planning her next home project with her Husband Brian. She also cherishes her time with their puppy Sadie. We enjoyed meeting your new office manager Jennifer. Sam is delighted to enjoy a Keurig coffee while I have my exam! —Janet S.
Everyone on the dental team was very professional and the work space was well maintained. Thank you. —Veronica M.
Been with Dr. Grabill and her assistants for many years and as long as Dr. Grabill remains in practice I will remain her patient.